Fast becoming one of the key events in the South-East Asian yachting calendar, Kata Rocks Superyacht Rendezvous returns to Phuket next week (December 8-10) for its second year. 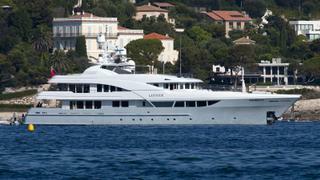 We round up the most notable yachts attending, starting with Lady Christine. This 68 metre Feadship superyacht was launched in 2010 with exterior styling by De Voogt Naval Architects and interiors by Rodney Black. She can accommodate up to ten guests in five spacious cabins with a 16-strong crew on hand to cater for every whim. Fast becoming one of the key events in the South-East Asian yachting calendar, Kata Rocks Superyacht Rendezvous returns to Phuket next week (December 8-10) for its second year. 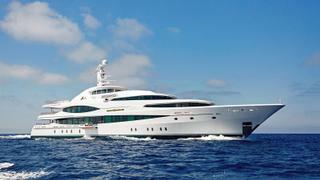 We round up the most notable yachts attending, starting with Lady Christine. This 68 metre Feadship superyacht was launched in 2010 with exterior styling by De Voogt Naval Architects and interiors by Rodney Black. 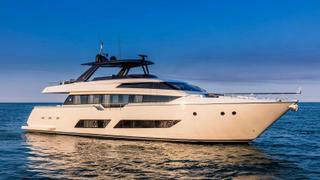 She can accommodate up to ten guests in five spacious cabins with a 16-strong crew on hand to cater for every whim. First launched in 1976 by Japanese yard Narasaki, Northern Sun was the subject of a major refit in 2007. Currently managed for charter by Burgess, this 50.9 metre steel-hulled cruiser can sleep up to 12 guests in a warming interior finished in tropical timber. Her toy store includes sailing boats and an inflatable slide, and guests can relax after an active day in the sundeck spa pool. 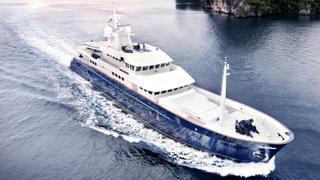 Fresh from her adventures exploring the Arctic, 45 metre Latitude will be joining the rendezvous this year. This 2008 launch from Russian yard Timmerman Yachts is a true globetrotter, having won the Voyager’s Award at the 2016 World Superyacht Awards after a voyage of 11,000 nautical miles. No doubt her crew will have some incredible stories to tell from their travels. One of five superyachts from the Northrop & Johnson fleet attending Kata Rocks this year, Dolce Vita was delivered by Turkish yard Numarine in April 2017. Hull number one in the 32 metre 105HT series, she boasts a sporty exterior by Turkish designer Can Yalman, which is backed up by a 31-knot top speed. 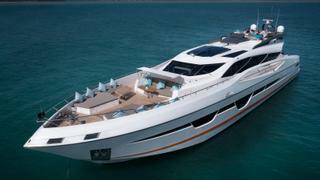 A privately-owned MCY86 will be bringing a touch of Nuvolari Lenard design flair to the rendezvous. Introduced in 2013, this 26.3 metre model has proven to be one of Monte Carlo Yachts’ most popular with nine launched so far by the Italian yard. Speeds of up to 29 knots are possible from the twin screw powertrain, which is available in MAN or MTU versions. First launched in July 2016, the Ferretti 850 is one of the Italian yard’s newest models and Asian dealer Lee Marine will be bringing this new 26 metre to the Kata Rocks Rendezvous. Other notable yachts attending include a 32 metre Princess, a 31 metre Astondoa and the traditional ketch-rigged sailing yacht Dallinghoo.